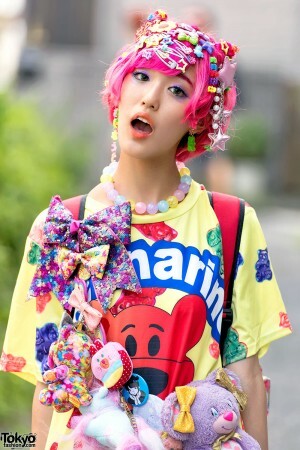 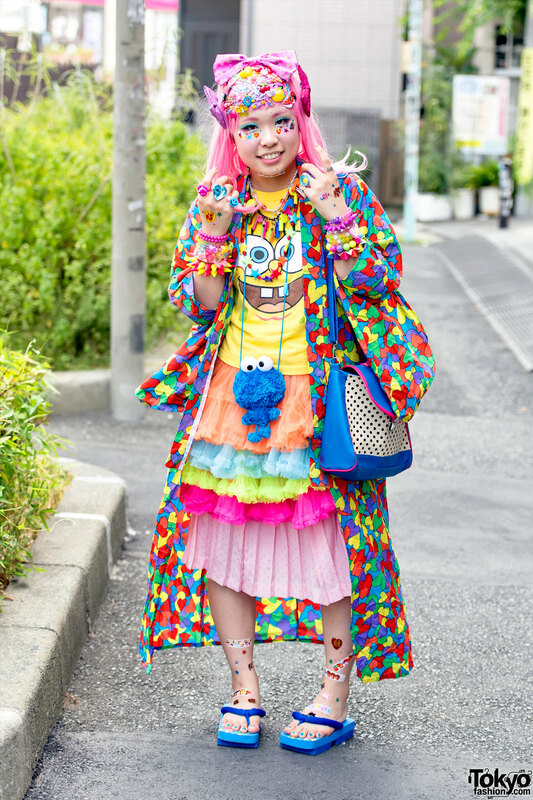 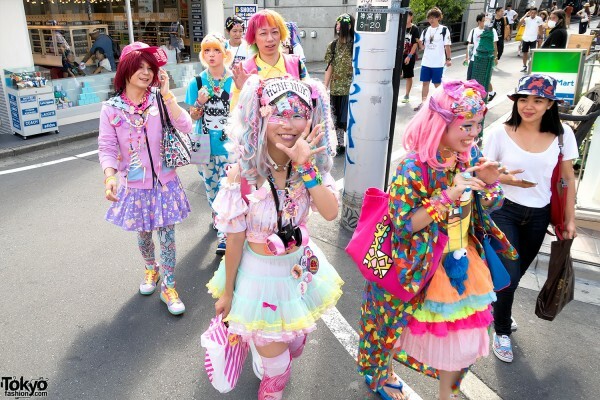 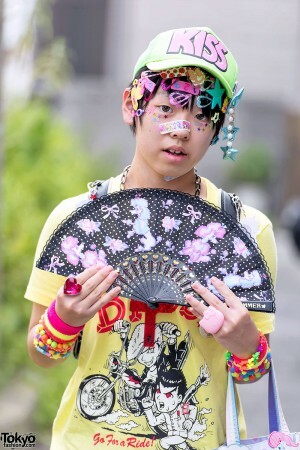 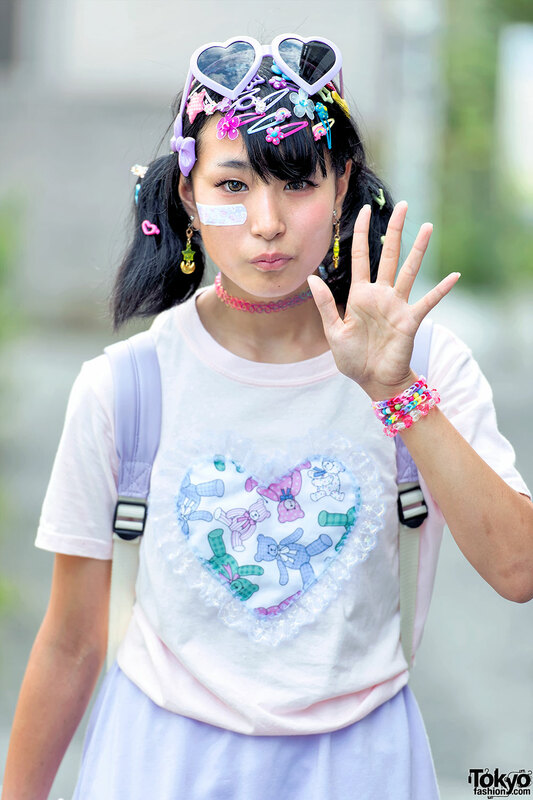 Decora is one of the Japanese fashion subcultures that helped to make Harajuku famous around the world back in the 1990s. 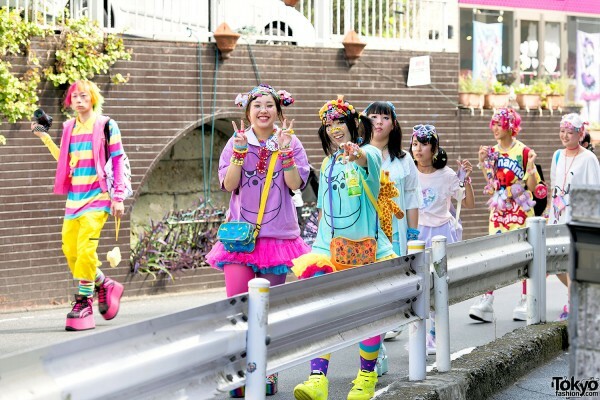 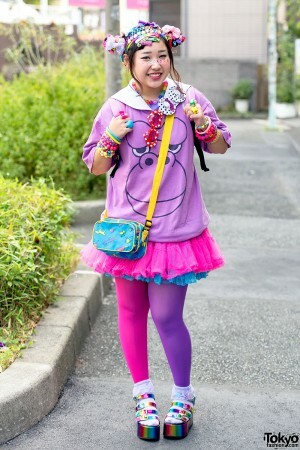 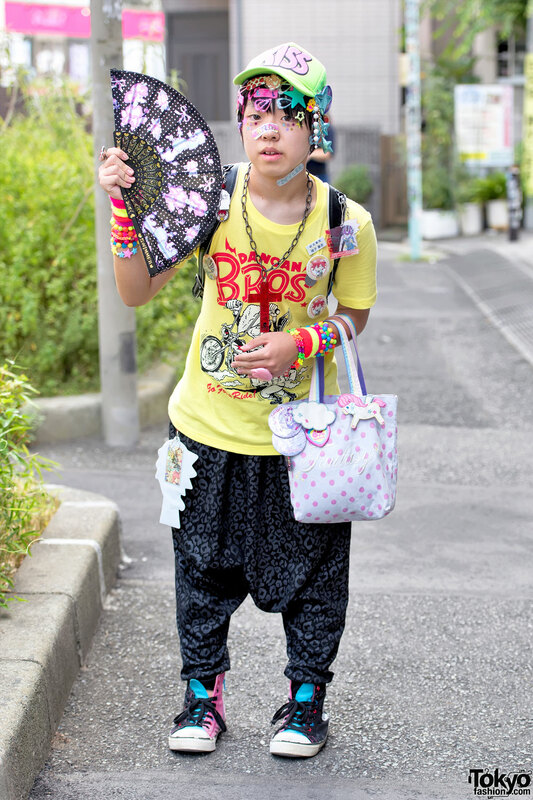 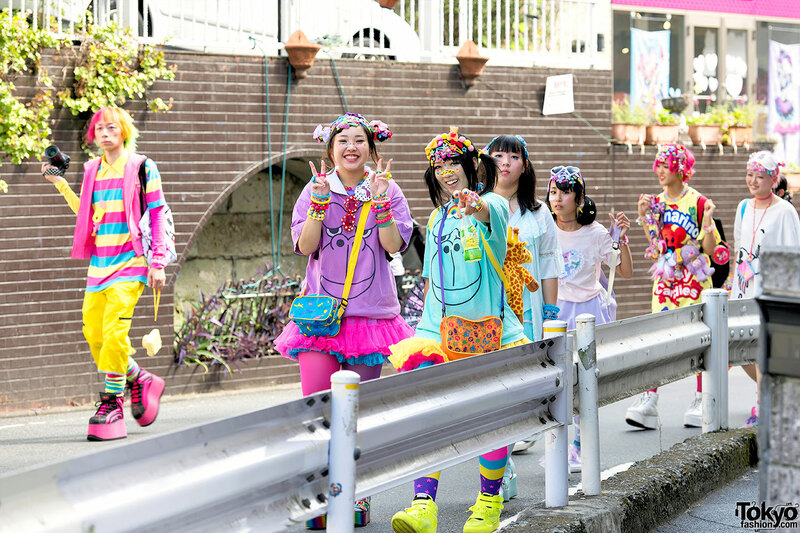 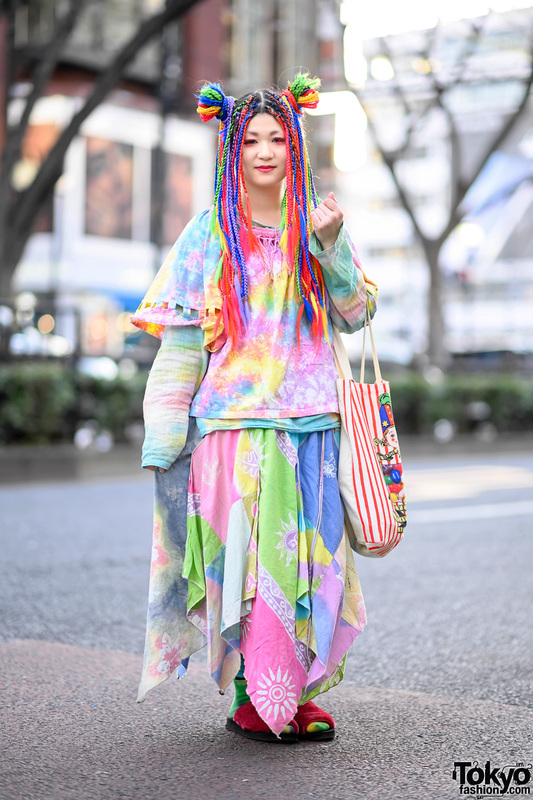 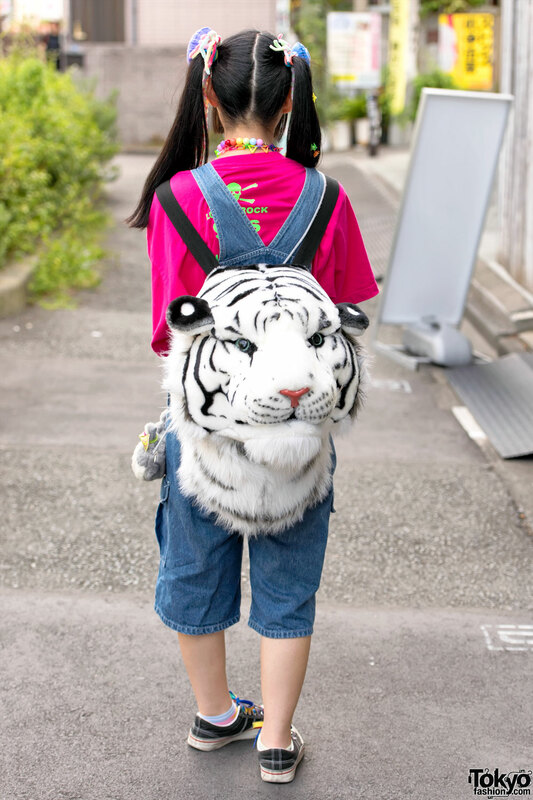 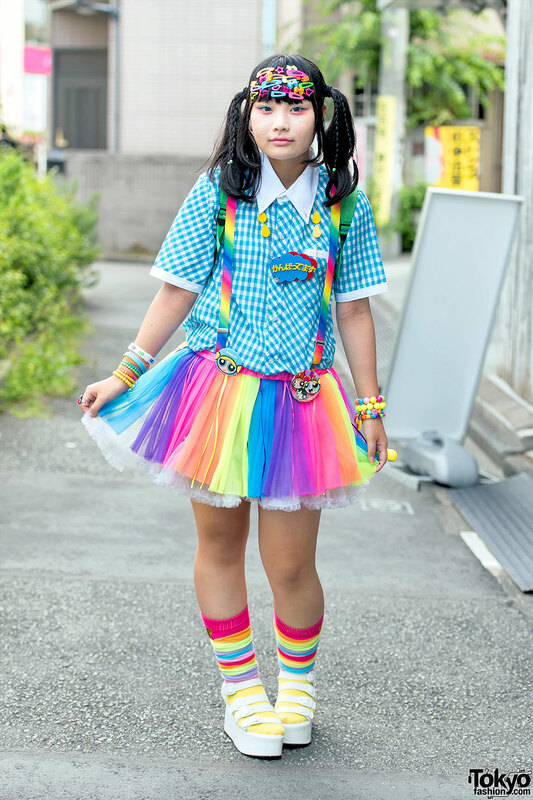 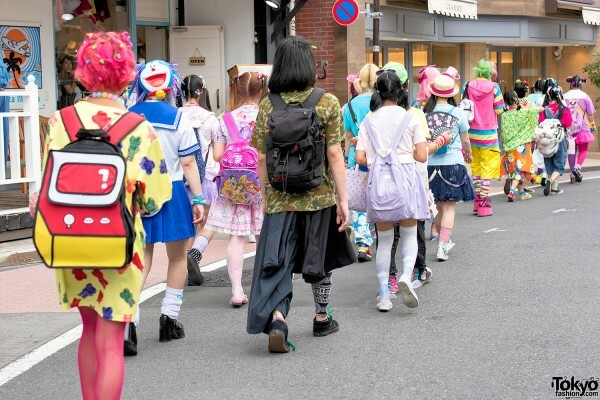 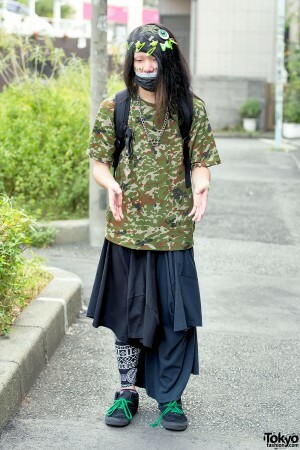 While decora isn’t as popular as it once was, there is still a core group of cheerful Harajuku kids who keep the style alive on the streets. 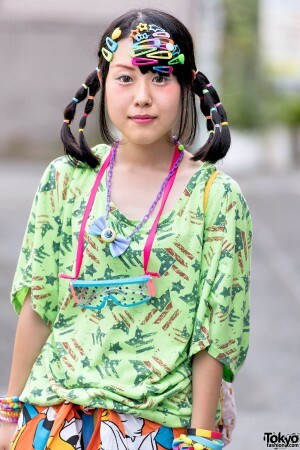 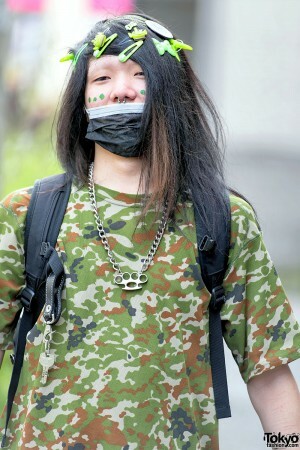 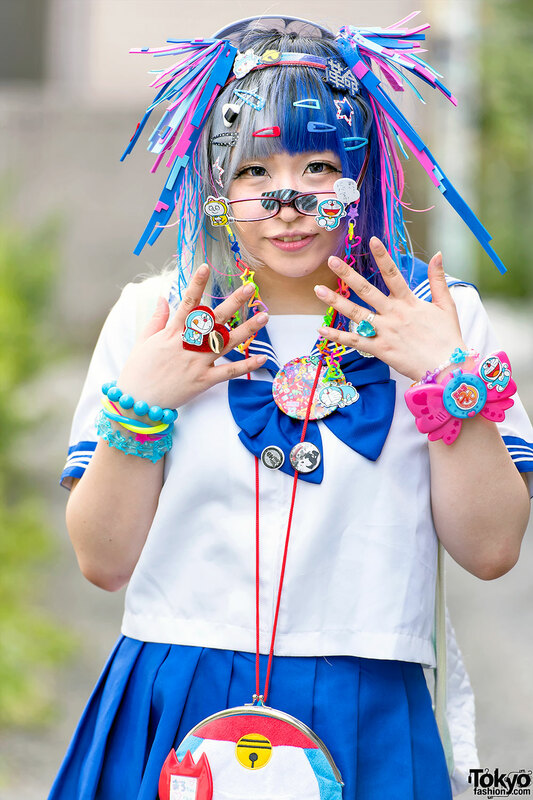 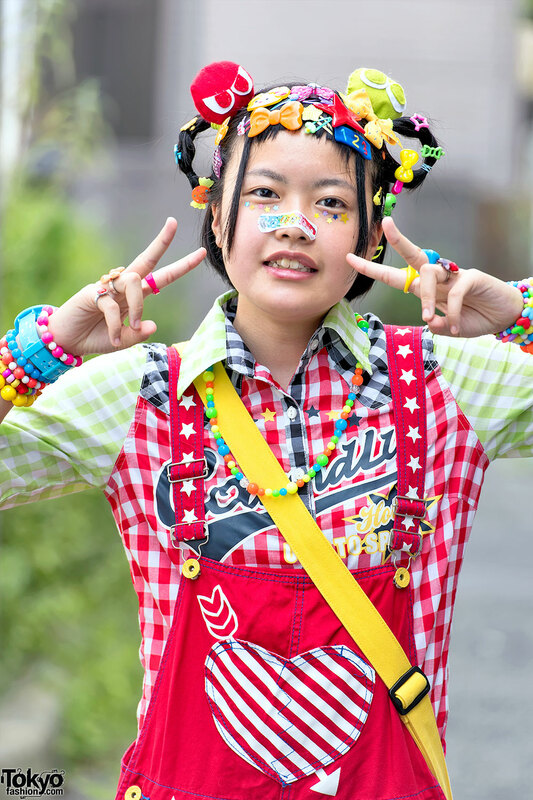 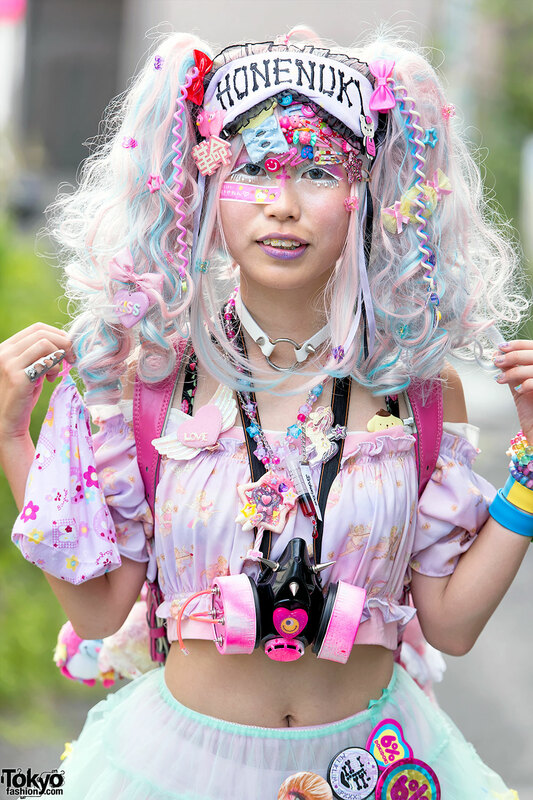 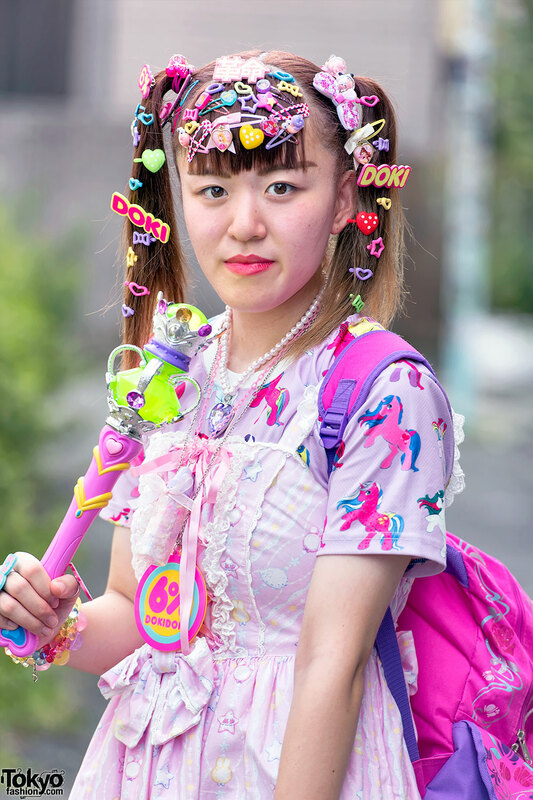 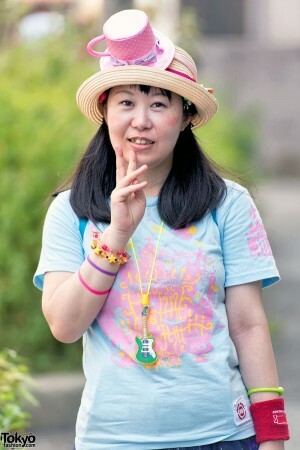 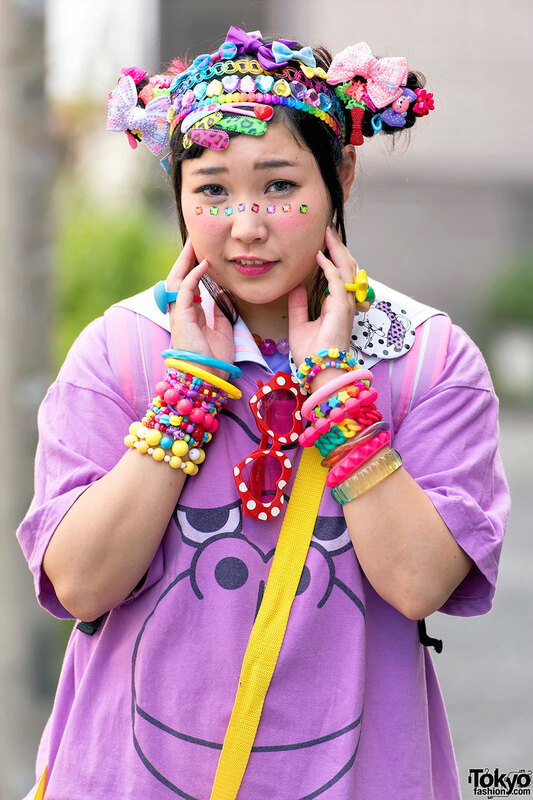 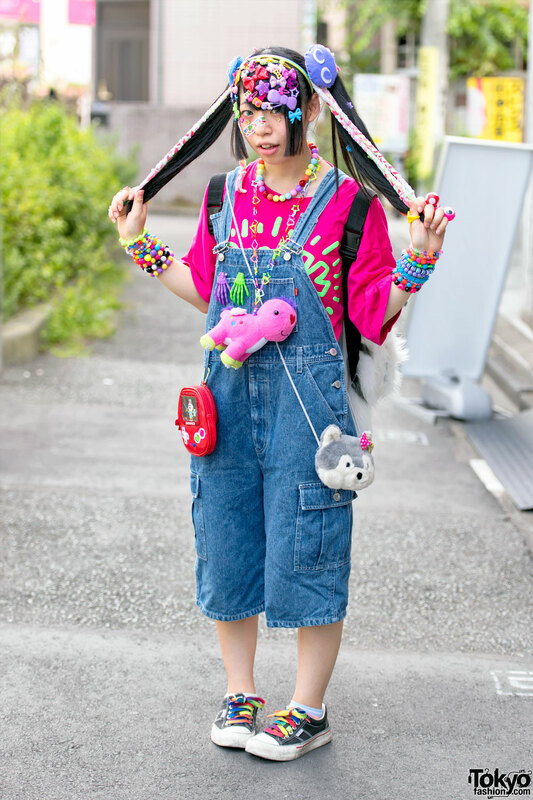 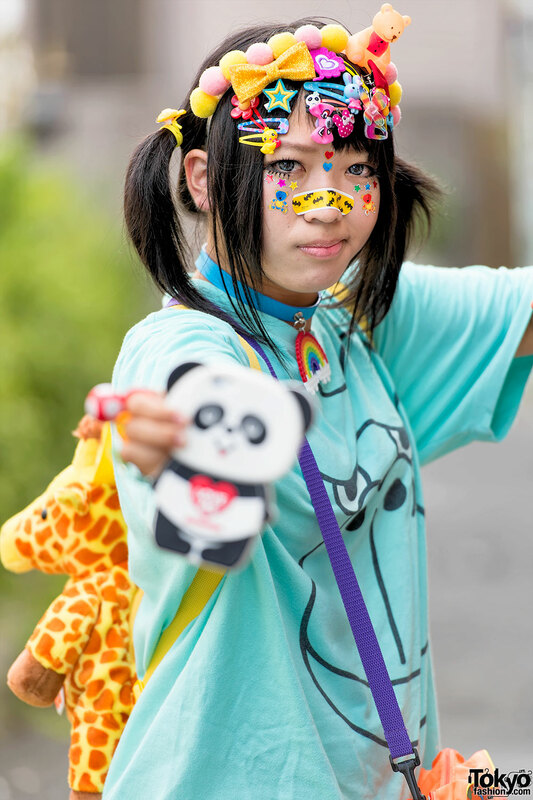 Japanese street styles change over the years, but decora still revolves around one key element – lots and lots of kawaii and colorful hair clips. 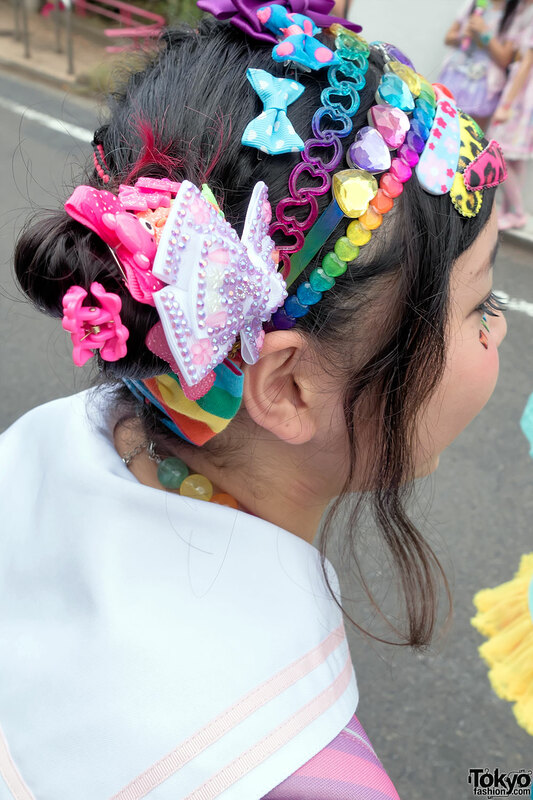 There were plenty of cute hair clips on display this weekend as Tokyo decora fans gathered for a fashion walk around the streets of Harajuku. 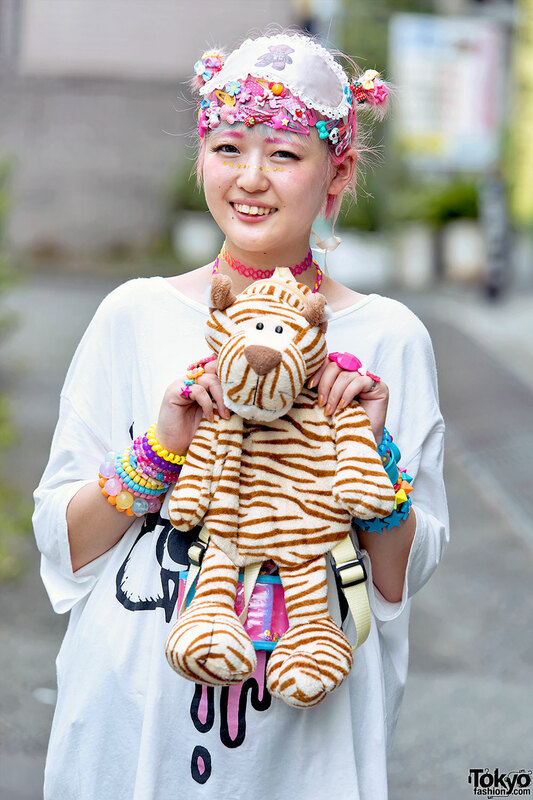 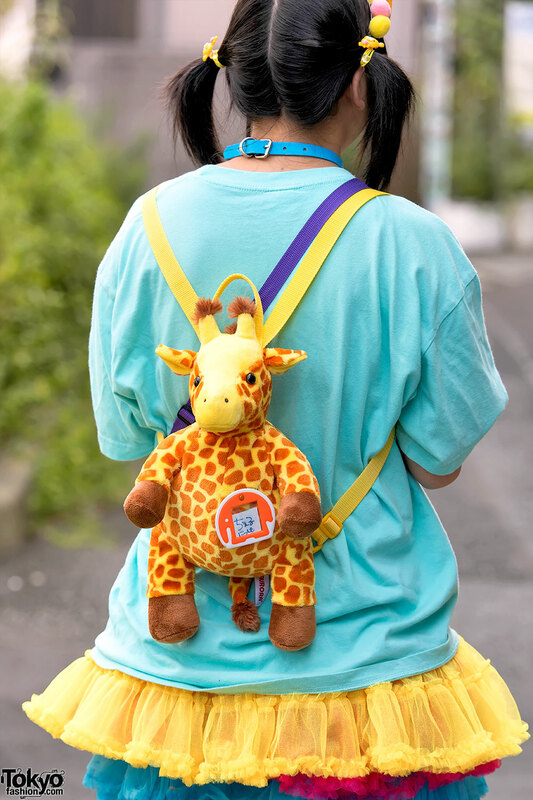 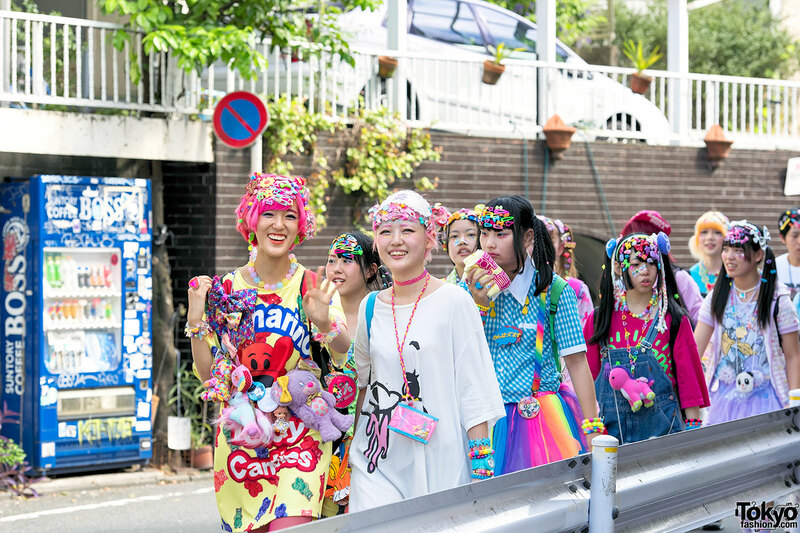 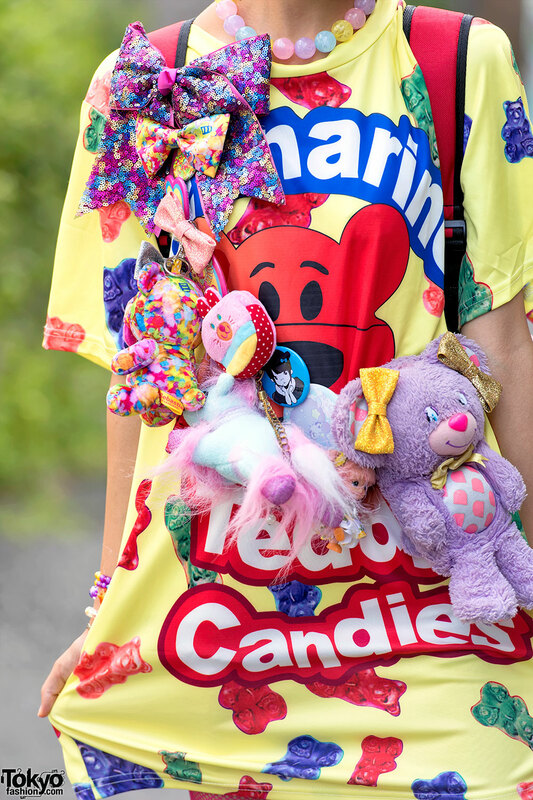 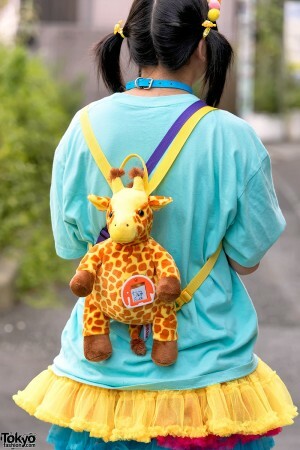 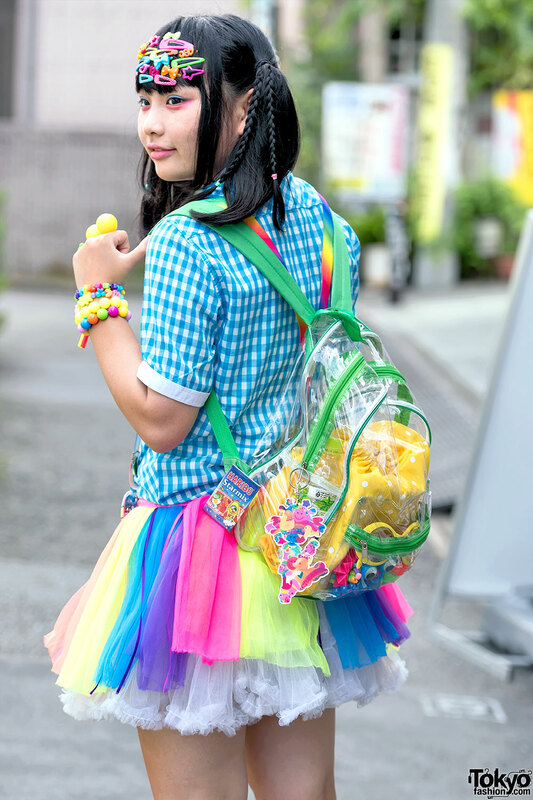 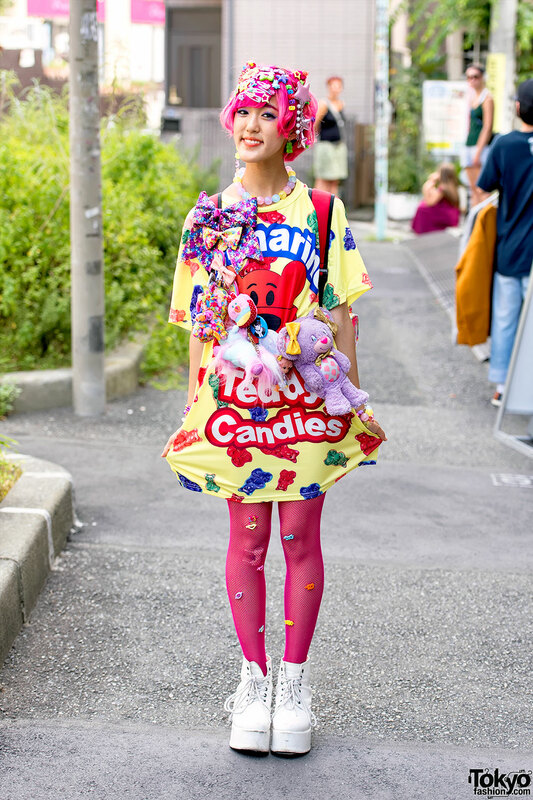 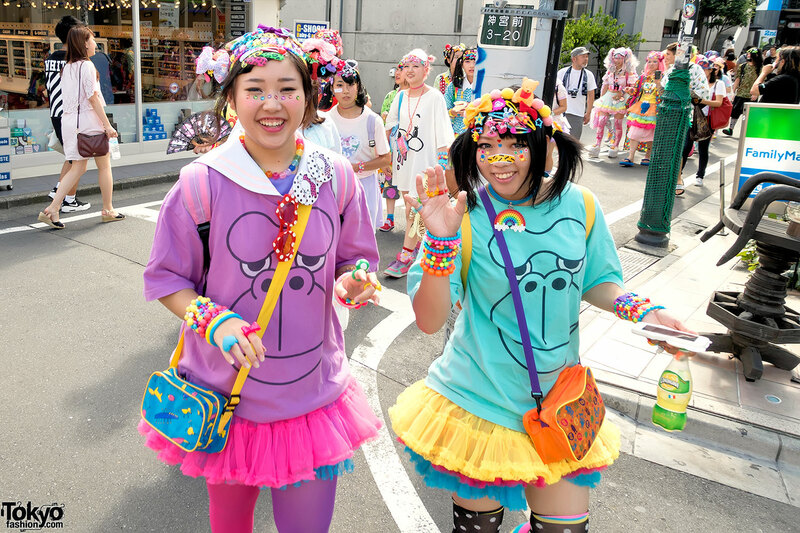 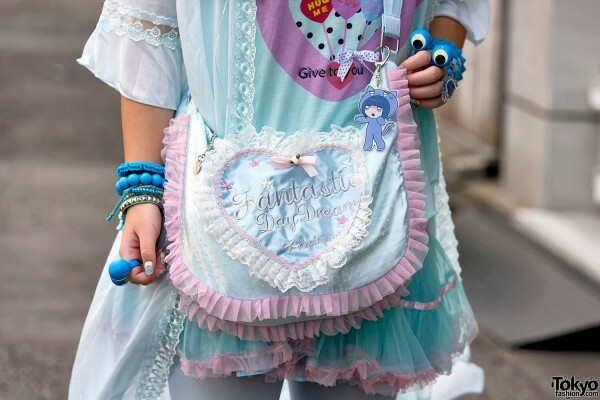 Organized by Tsunamayo Milk and Sakakibari Cherunissimo, the Summer 2015 Harajuku Decora Meetup featured colorful fashion, kawaii accessories, and smiling faces. There were both male and female participants, and a wide range of ages. 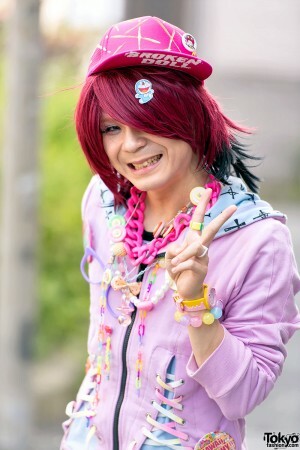 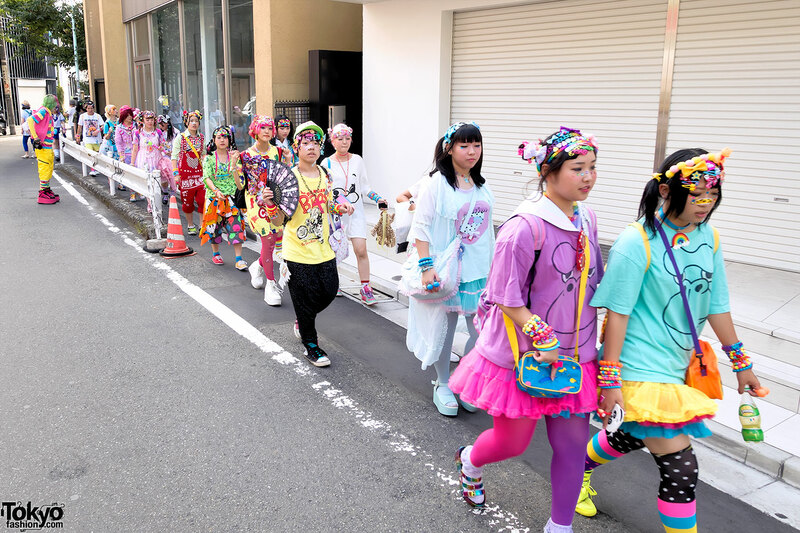 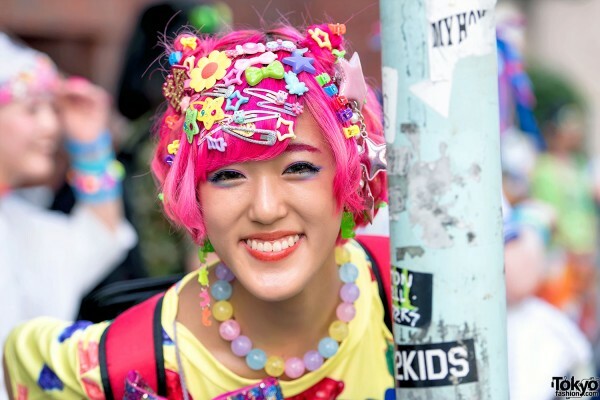 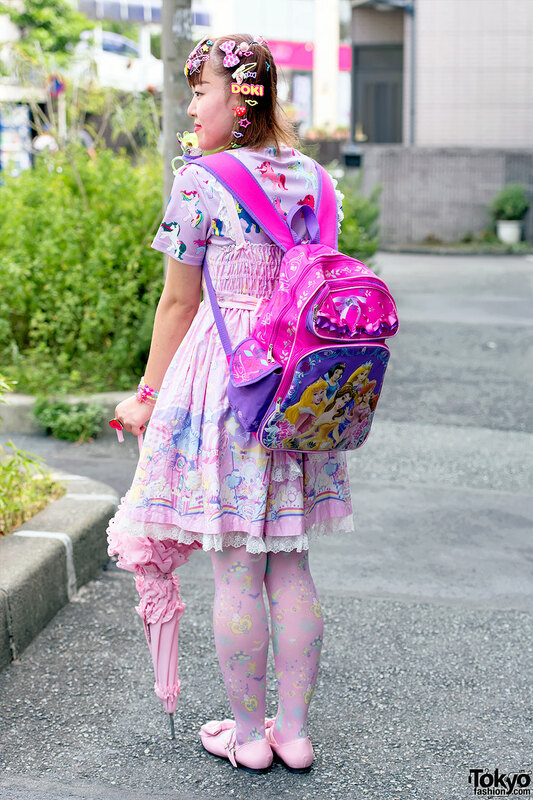 We covered the 2014 Harajuku Decora Meetup, and this year’s event was a bit bigger – showing that decora is not only still alive, but maybe growing again. 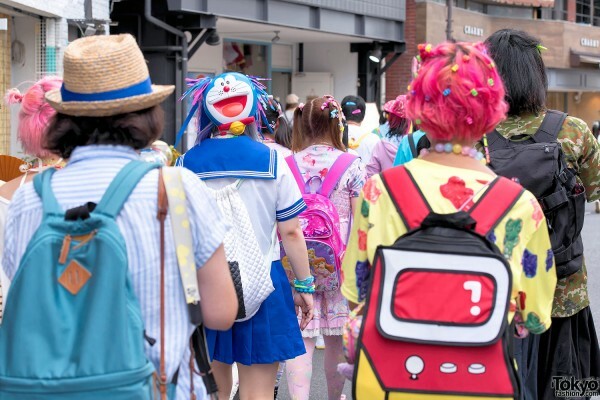 A big thank-you to everyone we met at the event. 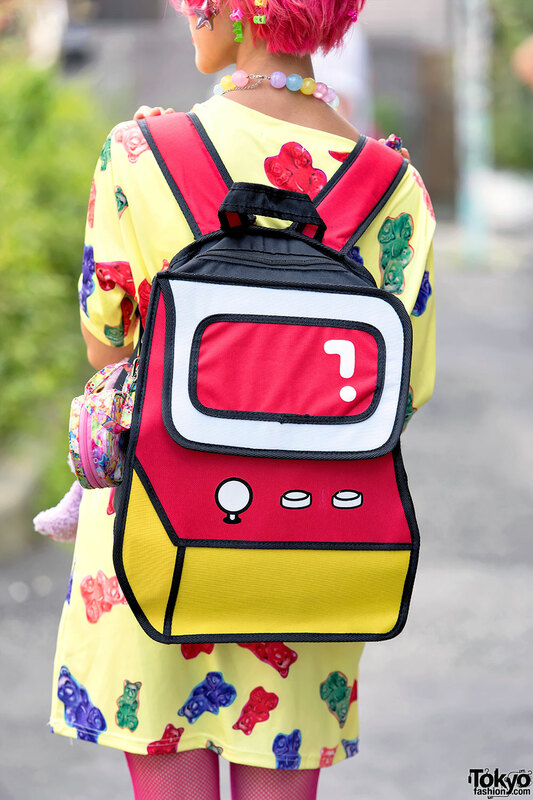 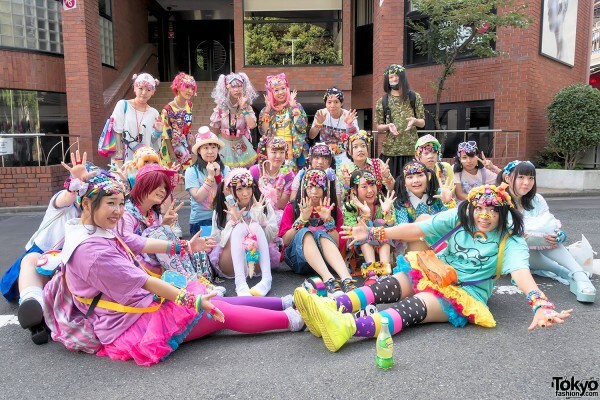 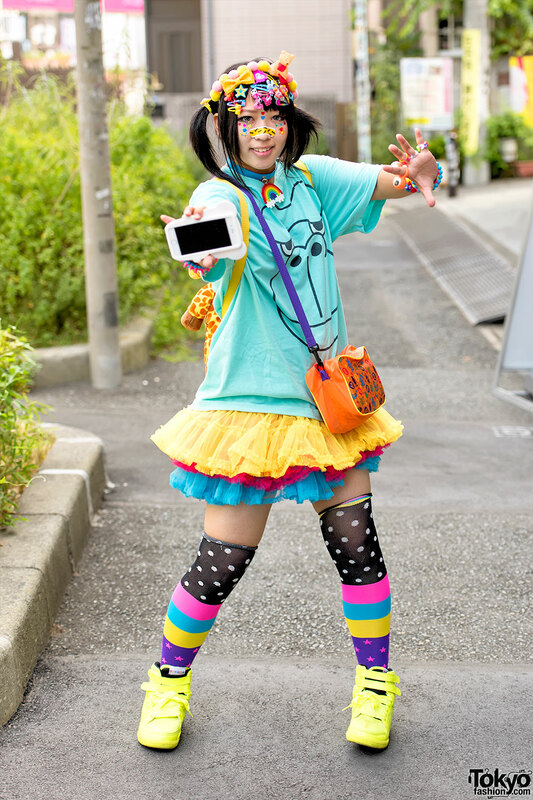 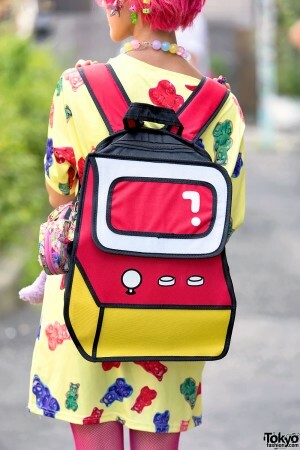 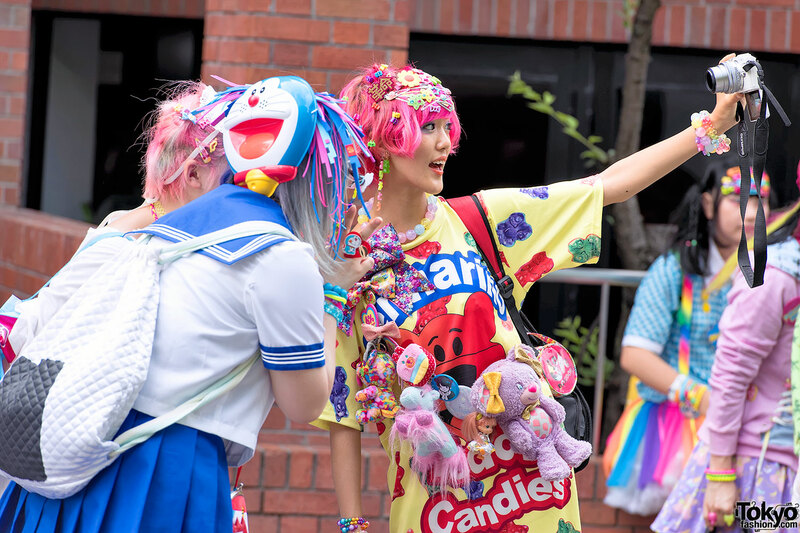 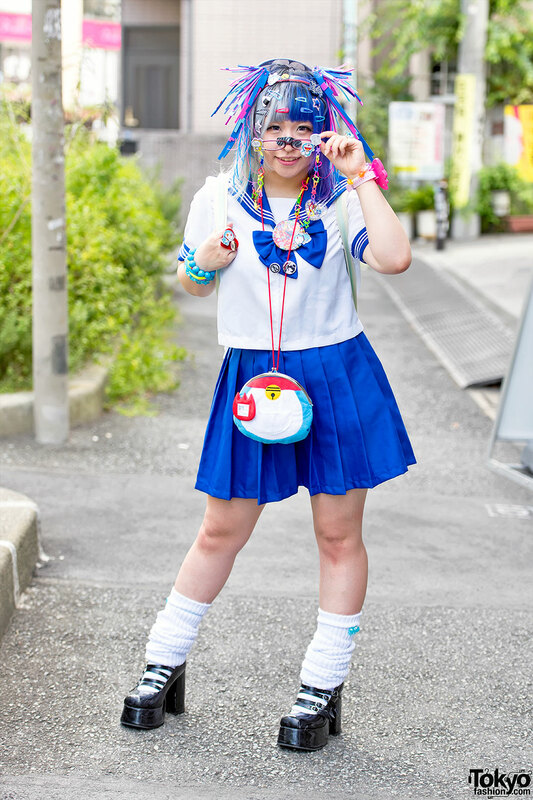 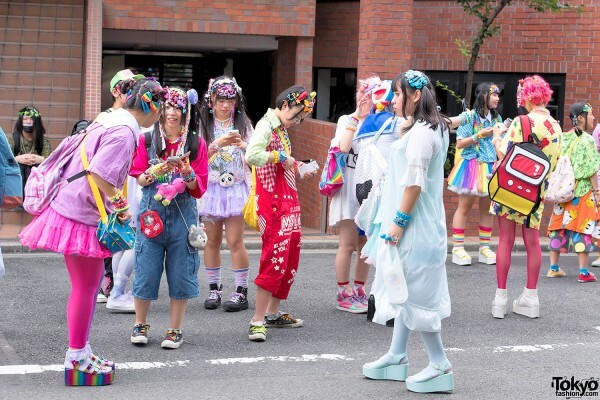 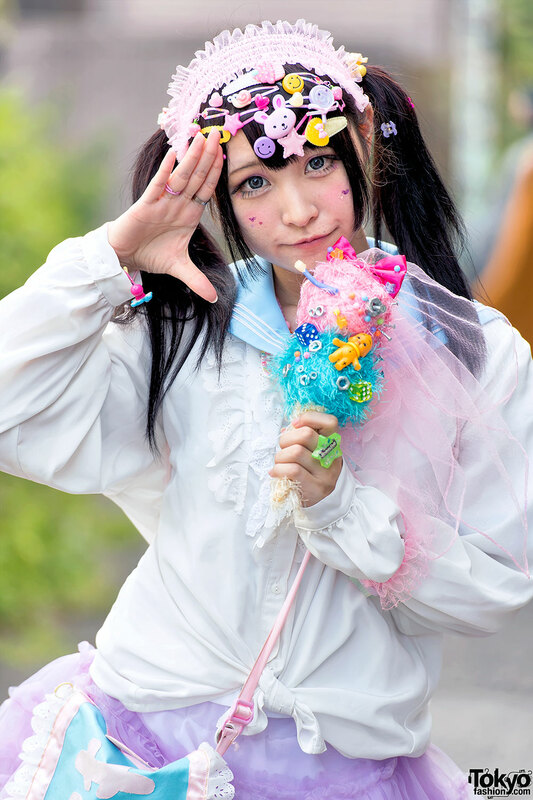 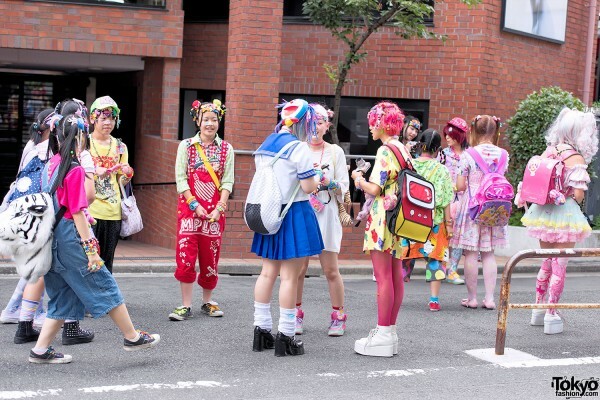 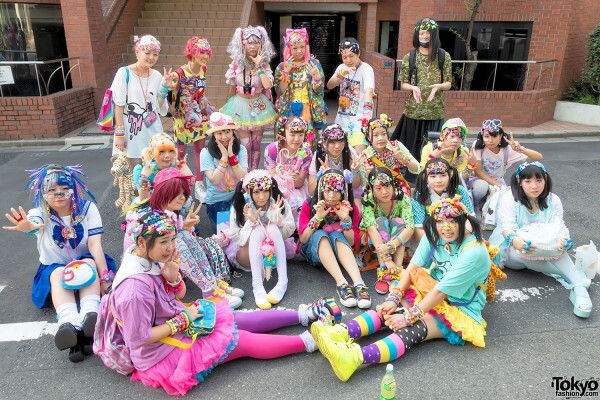 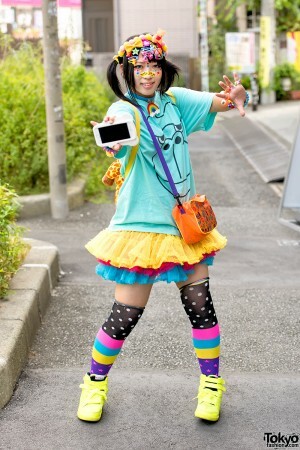 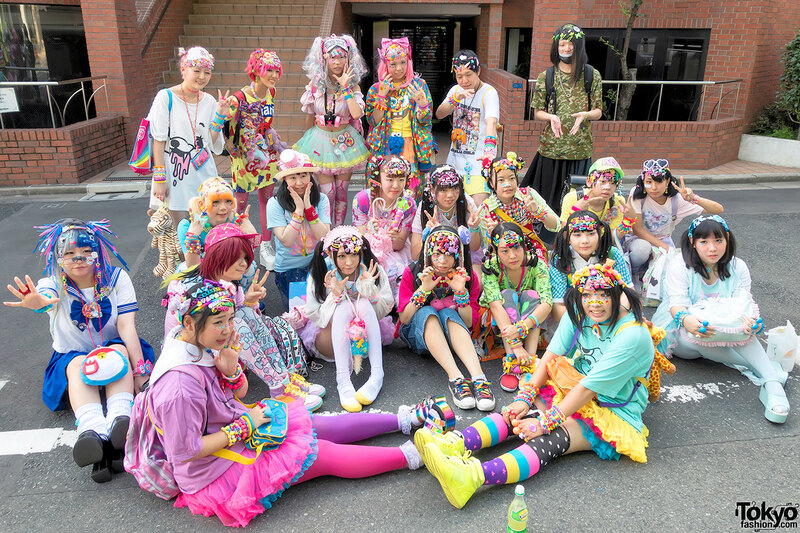 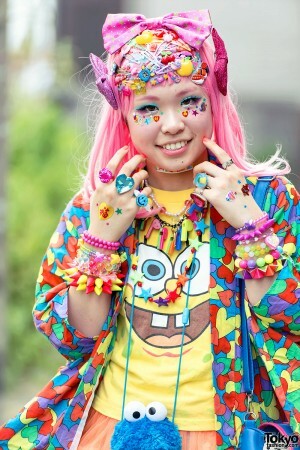 We hope you enjoy our pictures of this summer’s Harajuku Decora Meetup! 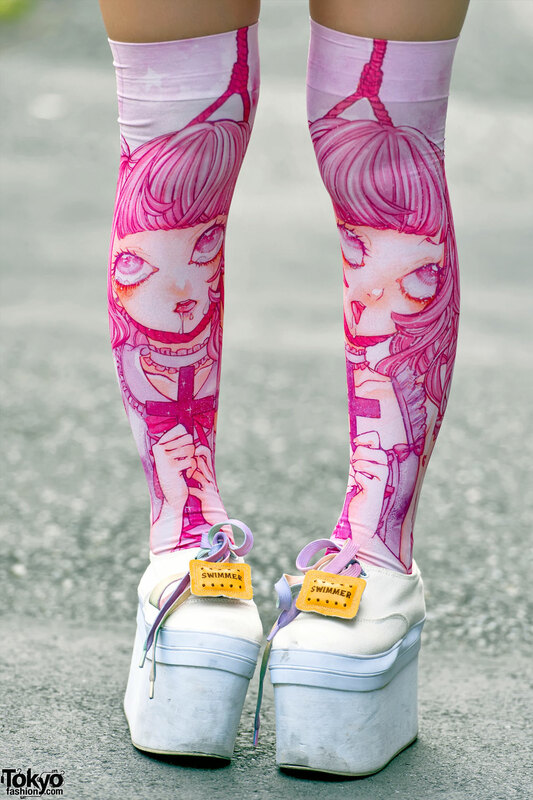 Click on any Harajuku decora fashion photo to enlarge it. 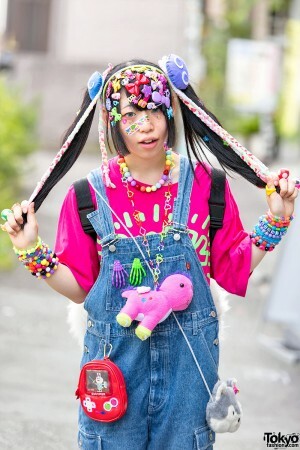 I can’t believe decora is still in use. Love and missed it.